The noise you hear coming out from your car’s engine is ominous. Something’s going on under the hood, and from the sound of things, it isn’t good. You may not know a lot about cars, but you know that, whatever’s actually wrong, fixing it isn’t going to be cheap. Of course, not every internal engine problem requires replacing the engine. 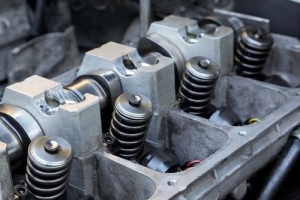 The technicians at your nearby Cottman center are well versed in a wide variety of engine repairs, including timing chains, oil pumps, camshafts, valve jobs, and more. So they may be able to recommend an engine repair that’ll take care of your problem while being more in line with your budget. Engine repair or replacement is no fun, and no matter who does it, it’s going to cost more than you probably want to spend. But when you bring your car to a Cottman center, you can be sure you’ll get your engine fixed right at a fair price, and they’ll get you back on the road, fast.